Your financial decisions today determine how much wealth you will build in your lifetime. Whether you’re making small time investments or major money moves, every action can have a big impact on your long-term financial plan. If you’re looking to build multi-million-dollar wealth, it’s crucial that you take the time to step away from the 24/7 daily grind to strategize your long-term financial plan. And the best way to do this is with a financial advisor. Advisors can help you navigate through the complexities of wealth-building so you can better prepare for the future and lay out a strategic roadmap to building seven and eight figures. Let’s go over the 3 crucial steps that will help you find the right advisor and set yourself up for long-term financial success. You can’t push all your chips into the middle of the table without knowing you have the right hand. As your net worth continues to grow, so to do the questions surrounding your overall financial plan. What kind of retirement do you see? What is most important to you in life? You can’t invest if you don’t know what you want the money to do for you. 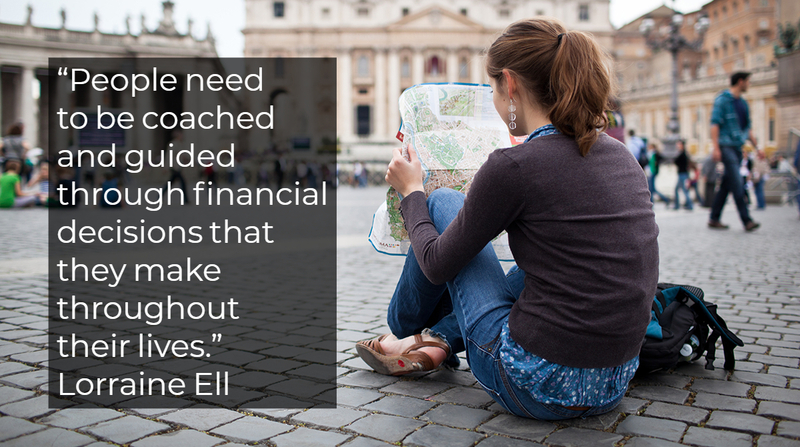 Your first step to lifetime financial planning is to figure out where you want to go and what you want to do with your money. Only then can you understand which investments will propel you to your goals. Next, sit down and create a comprehensive financial plan. This will map out how to become ultra-wealthy through strategic investments. 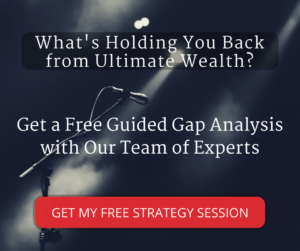 We suggest jumping on a free Gap Analysis strategy session with a wealth-building expert from our team to determine the gaps in your financial strategy and suggest solutions to building ultra wealth. After all, what’s money for but to live the life you want? Let’s face it; financial planners have a bad reputation. And that’s because many advisors are equipped with a license to steal. They’re in the industry more for the fees and structure than to steer others to success. Many so-called experts offer up advice that is far from their clients’ best interests. They push high-tax and high-fee investments like stocks and bonds to line their own pockets. You can avoid the pitfalls of working with the wrong financial advisor by choosing a coach over an investor. What’s the difference? Coaches touch on every aspect of your financial life. They’ll discuss things like cash flow management, insurance decisions, tax planning, and end of life decisions. They take a holistic approach to money management rather than just focusing on shiny new investments. Look for a coach who will arm you with the tools you need for lifelong financial success. You can’t see the forest through the trees. One of the main benefits of finding a reliable financial advisor is that they can take the emotions out of lifetime financial planning. Even the savviest entrepreneurs and wealth-builders are vulnerable to making emotional decisions. By finding a reliable financial advisor, you can eliminate the risk of panicking and making knee-jerk reactions. Countless people have fallen prey to financial panic, whether it’s the result of a market downturn or major political change. Advisors take a logical, long-term approach to prevent you from selling your shares because of a bad market day. Another big financial mistake? Avoiding generational planning. People need to organize their estate and plan for the worst in the event of a tragedy. Too often people skip this important piece of financial planning because it’s too emotional. Smart financial advisors will help you overcome this hurdle so you can avoid money problems if the worst occurs. …The more you know the better you can plan for the future. Take the time to educate yourself, consider your goals, and speak with financial advisors to make the most of your nest egg. By taking these small steps, you can create a long-term financial plan that will enable you to live the life you aspire to.